It’s a welcome sight for us here in Dayton and the Miami Valley whether returning from a day trip or coming home after a long vacation. And quite possibly it’s the first thing visitors see when spending time here in the Dayton. 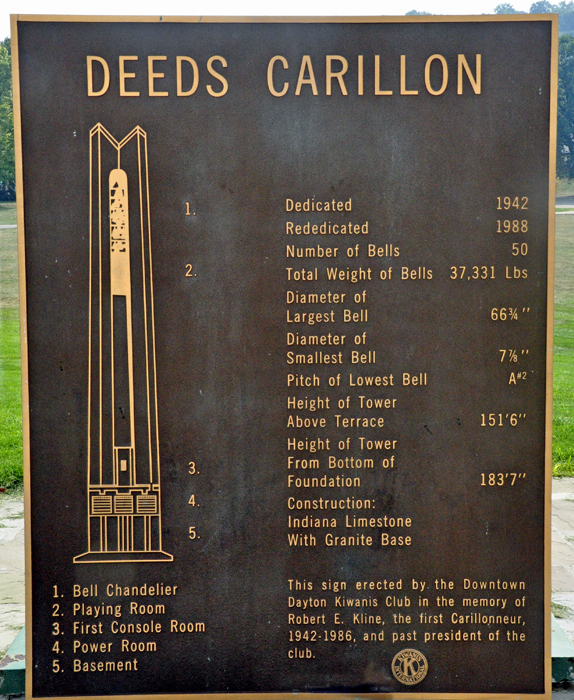 I’m talking about the wonderful Deeds Carillon which, by the way, is the namesake of Carillon Historical Park. Daytonians Colonel Edward and Edith Walton Deeds had the structure built after Edith saw carillons during her travels throughout Europe. Plus, the Deeds were very big music lovers. Dayton’s carillon was originally outfitted with 32 bells, with the largest bell having a diameter of 6 feet. From the terrace, the height of the bell tower stretches over 151 feet into the air and is constructed primarily of Indiana limestone. 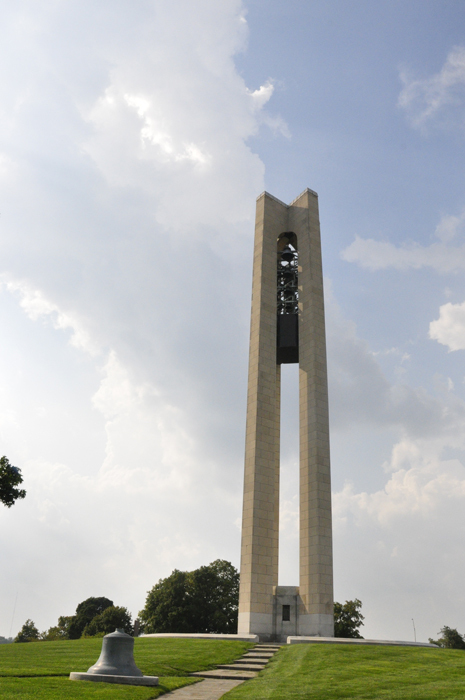 The art modern-style carillon tower was designed to commemorate the Deeds family. When it was built, the bells were inscribed with the name of a family member, with the “silent” bells bearing the names of deceased family members and ringing bells cast with the names of family members then living. With this performance, she began a long standing tradition that carillonneurs continue to this day. Now fitted with 57 bells, the carillon is Ohio’s largest. The National Park Service listed it on the National Register of Historic Places in 2005. Renovation commenced in 1988, when it was converted to a traditional, mechanical carillon from an electric system. The original chandelier design of the bells was converted to the configuration that can be seen today. Today, music the Deeds loved so much continues to emanate from the carillon, keeping a long time tradition alive. To me, it says "I’m home." 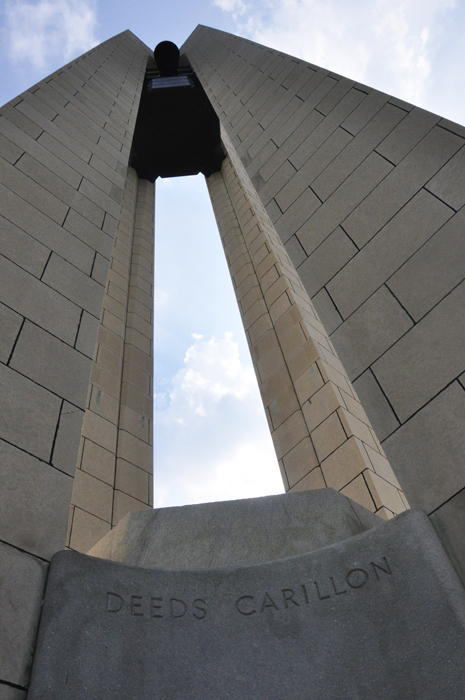 Please note: The Dayton CVB has compensated me to share my thoughts on Deeds Carillon.